If you saw Aquaman then you know one of the scariest, most James Wan-esque sequences involved the Trench, a horrifying sequence with monstrous creatures ripped straight out of a ship captain's nightmare. 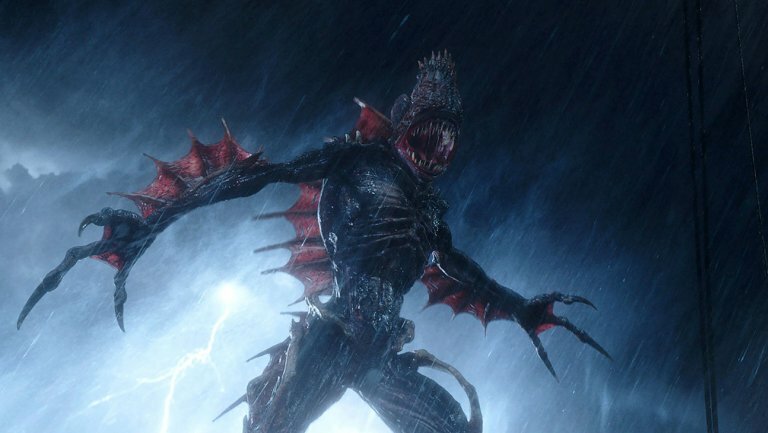 With over $1B at the box office an Aquaman sequel is inevitable at some point, but for now it seems Warner Bros. is content to move forward on a horror spinoff based on the film's denizens of the deep. THR reports that screenwriters Noah Gardner and Aidan Fitzgerald have been hired for The Trench, a horror spinoff focused on the titular territory and mutated amphibians that attacked Jason Momoa's Arthur Curry and Amber Heard's Mera. Of all the impressive bits of world-building done in Aquaman, the Trench was easily one of the most compelling. When the city of Atlantis fell, some of its denizens survived only to be thrown into the Marianas Trench, where darkness and underwater pressures forced them to adapt into monstrous offshoots. The main Aquaman cast are not expected to play a part in this story, which will take place within the Trench itself. James Wan is sticking around as a producer but it's still too early to know of a director or casting. I wouldn't be surprised if Wan passes the baton to someone he's familiar with from one of his other horror franchises. Perhaps Leigh Whannell? Or David F. Sandberg, who already has a DCEU gig as Shazam director?